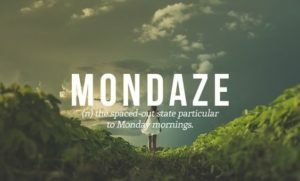 Mondaze is a blend of Monday and daze, a humorous term for the stupor some find themselves in at the start of the work week. Mondaze can also just be a fun, intentional misspelling of Monday(s). Using hashtags that are related to your pet and the content of your post is a great way to get organic likes and followers ... Weekly hashtags like #tongueouttuesday or #mondaze are a good call. 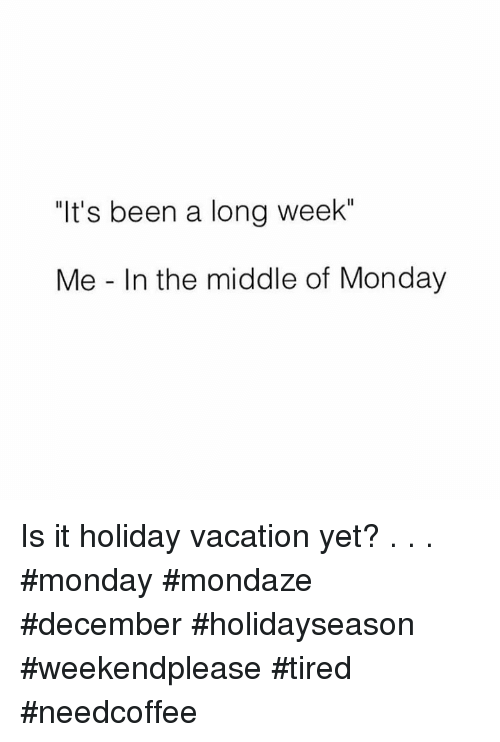 Where does Mondaze come from? 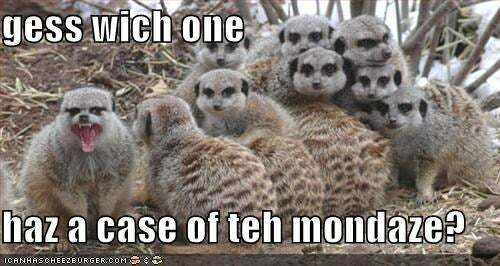 Mondaze combines Monday and daze, characterizing that feeling of being tired and unmotivated on Monday as one faces a new work or school week after the weekend. On the contemporary internet, Mondaze is sometimes intentionally misspelled à la the cute and ironic errors of LOLcat memes. 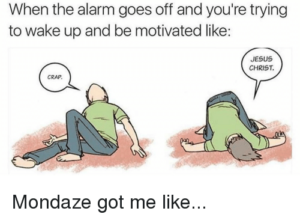 Even in memes, Mondaze is the perfect descriptor for that tired, out-of-it feeling you might have at the start of the work week, especially before your first cup of coffee. Sometimes, Mondaze is used as a deliberate, offbeat misspelling of Mondays for ironic or humorous effect. 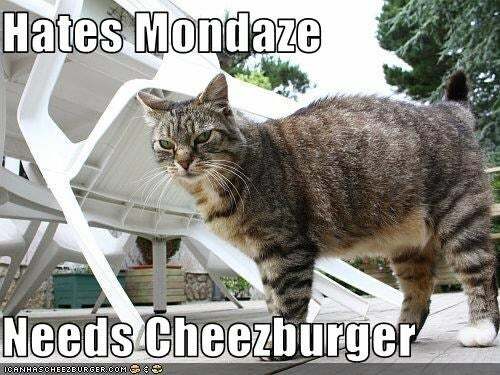 Other times, Mondaze is used to describe just how rough someone is feeling on Monday at work. That post-weekend haze, for some folks, is induced by smoking marijuana on, you guessed it, Monday. And so, Mondaze can also refer to getting high (and feeling dazed) on a Mondays. When we’re really out of it, we might say we have come down with a case of the Mondaze.